Charles Yata is from the Pojulu tribe in Lanya South Sudan where he worked as a carpenter. 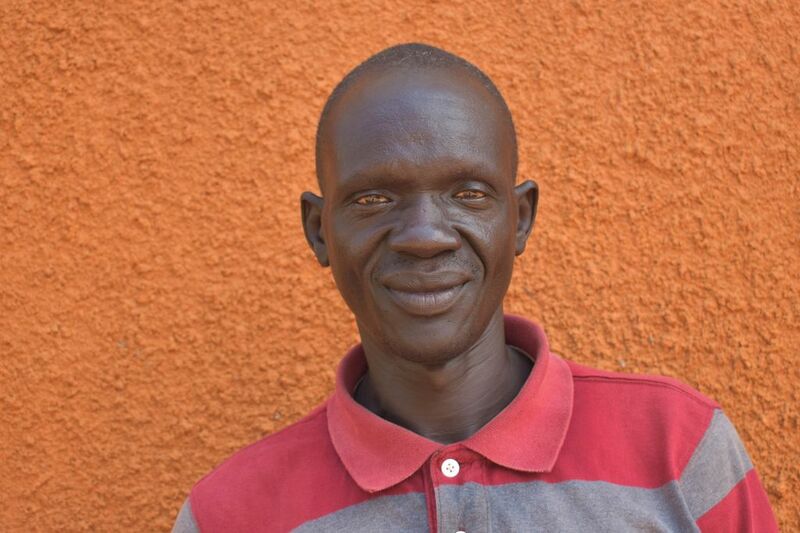 He has been working in building since coming to live in Bidi Bidi, Uganda for two and a half years ago. He works in agriculture and is interested in learning about everything on offer on the course. Charles can speak Arabic, Bari and his mother tongue Pojulu and enjoys playing cards with friends. Abale Robinson lives in Yumbe, Uganda. His skills include business and rearing animals especially goats. He would like to learn more about animal husbandry and how to control animal diseases. He enjoys watching Man United play football and assessing internet use in his spare time.